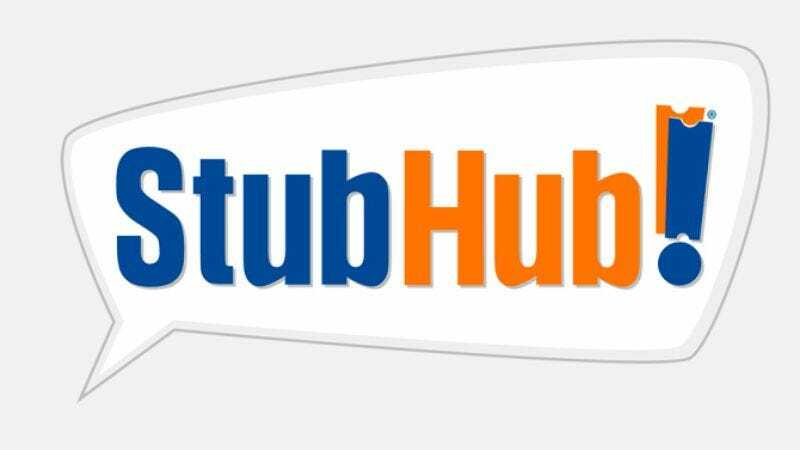 In recent years, the online ticket reseller StubHub has become the place to go for overpriced, consumer-gouging access to concerts, sporting events, and other live entertainment. And because there’s nothing the average American likes more than paying too much for things, consumers will no doubt be thrilled to learn that movie tickets—one of the last bastions of affordable, populist nights out for people across America—will soon be subject to the same business model. Variety reports that StubHub is planning to move into the movie ticket realm, along with theme park admissions, museum access, and other diverse forms of public entertainment. Whereas sites like MovieTickets.com and Fandango have traditionally cornered the market on online ticket sales for films, StubHub would offer a way for theaters to offer blocks of tickets for screenings that typically don’t sell out, such as matinees or slower weekday evenings. The company already provides a similar feature for live theater—on Broadway and elsewhere—to fill seats that might otherwise go unsold. As the article notes, StubHub helped legitimize secondary ticket sales by offering a safe and efficient way for companies to sell large amounts of discounted tickets. In other words, it’s a legalized form of scalping from which the businesses actually profit. But there’s the catch: by permitting the resale of movie tickets, StubHub also allows people to offload purchased admissions to upcoming film releases for whatever price they want. So, for example, it’s entirely possible for a single individual to buy out every ticket for every opening night screening of Avengers: Age Of Ultron at a theater, and then resell them on StubHub at heavily marked-up prices. And while StubHub probably doesn’t want to play up that aspect of things, it’s the most likely result of this particular decision. The company can advertise discounted access to Wicked at the Kalamazoo Community Theater all it wants, but the probable outcome here is $80 tickets to Furious 7. Defenders tout StubHub’s bar code technology, which eliminates the risk of phony tickets that exists on many other secondary ticket websites. Strangely, those same people do not also tout the way that these techniques have forced the rest of us to count down the seconds, staring at our screens, ready to refresh our browsers time and again, just to try and buy some damn Replacements tickets at exactly 10:00:01 a.m. Followed, as always, by a sad trip to StubHub, where those tickets that sold out in 15 seconds immediately appear for double the price. That feature has somehow not been promoted as heavily.